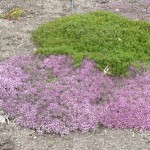 Low carpet of semi-evergreen foliage topped with shocking salmon-colored flowers in late spring. 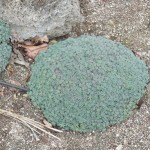 Wonderful addition to any rock garden. 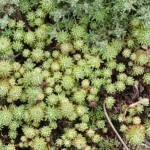 Height x Width: 1 in. 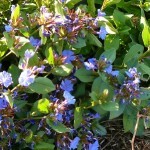 x 24 in. 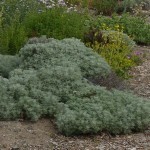 Hardy Iceplant is a fast-growing, mat-forming succulent, lovely garden accent. 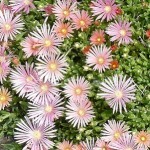 Bright yellow daisy-like flowers appear in late- spring. 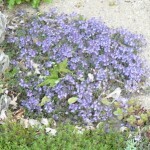 fall. 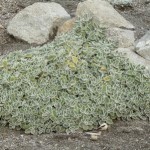 Bright-green knobby leaves turn bright red during the winter. 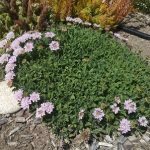 Avoid overwatering and excessive winter moisture. 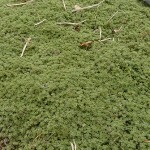 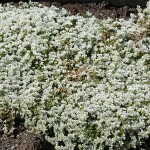 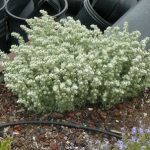 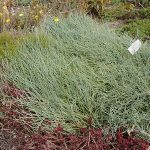 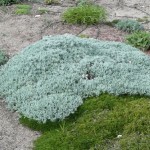 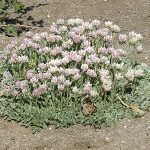 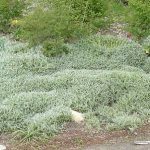 Silver Nailwort is native to the Pyrenees of southern Europe, Silver Nailwort is a tough-as-nails ground cover that very closely resembles Creeping Thyme. 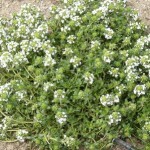 Blooming in late spring, the flowers are insignificant, but the white bracts light up the plant for several months. 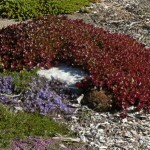 Turns copper in winter then re-greens in spring. 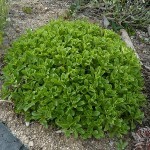 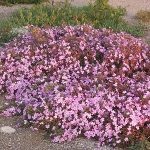 Rock Soapwort is a vigorous, low creeping plant, useful for spilling down sunny slopes or over rock walls. 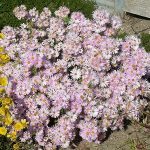 Plants form a low mound of bright-green leaves, literally smothered by starry bright-pink flowers in late spring or early summer. 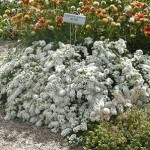 Also useful as an edging in the sunny border, and worth considering in tubs or pots. 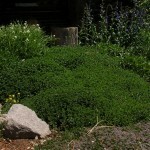 Prune plants back hard immediately after blooming, to maintain a compact habit. 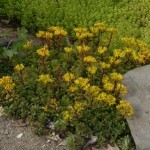 Chinese Mountain Stonecrop is an attractive and unique stonecrop and features handsome, evergreen foliage topped by two-tone yellow and orange flowers. 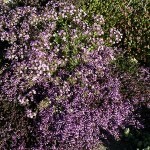 Exceptional! 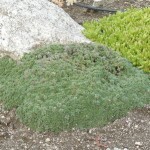 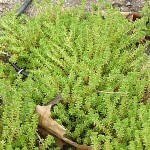 Rocky Stonecrop is an odd and charming sedum, resembling undersea creatures.Great for rock gardens, or simply filling in between larger plants in a landscape. 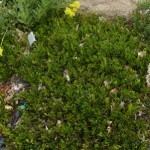 There is a whole array of different little gems in the genus Sempervirens, meaning “Forever Living” or “Evergreen”. 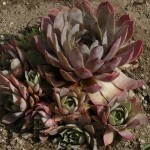 These Hens and Chicks come in different colors and range from tiny to fist-sized. 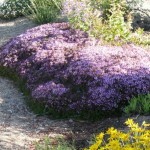 They are wonderful fillers in rock gardens, perched in rock walls and edging pathways.